The Swedish Patent and Registration Office (PRV) has posted the new fees related to designs, trademarks and patents which come into force on February 14, 2018. It’s worth noting the inconsistency in the fee changes with the near-double cost for patent publication (2500 SEK compared to 1400 SEK) and deletion of the extra fee for publication of excess pages. 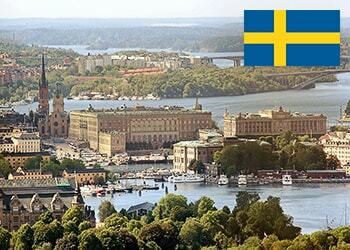 Annuities for Swedish patents are being raised starting from the 3rd contribution year. However, the first two years will become free of charge whereas the 3rd annuity fee will almost triple (1400 SEK compared to 550 SEK) curving into 10-15% general increase comparing to the current patent annuity fees. As to the other changes, 15% increase is to be applied to both trademark filing and renewal fees. Concerning design registration, the increase is insignificant: 2000 SEK under new schedule of fees, instead of 1900 SEK. Overall, PRV introduces a new and simplified fee structure which enables the Office to recover costs but at the same time gives consideration to applicants who may be disadvantaged otherwise. If you wish to know more about certain jurisdictions and other subtleties of IP protection you are welcome to use our applicant’s guide section or see our quotation system to learn about the current pricing.